Music can be a wonderful source of support, inspiration, and motivation during the recovery process. 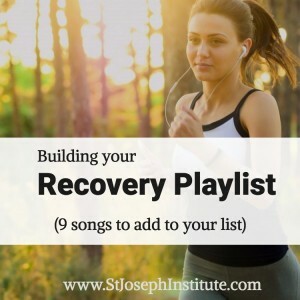 Consider developing your own addiction recovery playlist to help you tackle the challenges of sober living, using these popular songs as a starting point. Or why I have to scream. But now I have some clarity to show you what I mean. I don’t know how I got this way. So I’m breaking the habit. I’m breaking the habit tonight. “Breaking the Habit” is a song about hitting rock bottom. The lyrics express frustration with the burdens of addiction, as well as an understanding that nothing gets better unless you make a conscious decision to change your own behavior. When the moment arrives that you know you’ll be alright. Aerosmith’s popular power ballad begins by describing a life of pain caused by drug abuse, but shows how drastically life can change if you find the courage to ask for help. If you’re in the early stages of recovery, this is a song to remind you that things will get better. Can’t worry ’bout what’s behind you or what’s coming for you further up the road. I try not to hold on to what is gone. I try to do right what is wrong. I try to keep on keepin’ on. When you’re in recovery, it’s easy to get distracted by guilt over past mistakes and anxiety about the future. “My Silver Lining” is a reminder to focus on the present and take your recovery one day at a time. Got so many scratches and scars. Maybe time can mend us together again. It’s not what we’ve done but, how far we’ve come. “Recover” is a powerful song because it acknowledges that addiction causes lasting pain, but gives hope that recovery is possible. Think of this song as a reminder that your own scars are a badge of honor and a sign of survival. They tell the story of all you’ve been through and prove that you’re strong enough to conquer the world. Now that you’re out of my life, I’m so much better. You thought that I’d be weak without you, but I’m stronger. You thought that I’d be broke without you, but I’m richer. You thought that I’d be sad without you, I laugh harder. Thought I wouldn’t grow without you, now I’m wiser. This song is about getting over a bad breakup, but it’s not difficult to see the parallel between ending a toxic romance and overcoming drug and alcohol addiction. Think of it as a catchy tune to help you remember all the ways your life has improved since you made the decision to get clean. I’m bulletproof, nothing to lose. You shoot me down, but I won’t fall. “Titanium” is a song about inner strength and finding it in yourself to overcome whatever obstacles the world throws at you. It’s a song that resonates with many people who’ve turned to drugs and alcohol to cope with trauma in their lives. You don’t have to feel like a wasted space. If you only knew what the future holds. After a hurricane, comes a rainbow. More than just a popular dance number, “Firework” offers a powerful message about embracing your individuality. It’s a worthy addition to any recovery playlist, especially if you’re struggling to redefine your sense of self without drugs and alcohol. He’s come to save the day. Contemporary Christian band MercyMe sings about the power of Christ’s love, urging anyone who is going through a difficult time to turn to their faith as a source of strength. Even though this song isn’t specifically about addiction, it’s a message that resonates with many who are in recovery. A ‘do like I should’ man. I wanna be the kind of man the mirror likes to see. And admit that I was wrong, man. To the man I wanna be. Country music singer Chris Young expresses the desire to make big changes in life, while acknowledging that this is a job too big to undertake alone. This song reminds us that all things are possible with God’s help.